In a departure from the urban landscapes and digital manipulation in his earlier works, Jiang shifts to a micro, introspective view of inanimate objects in Everything Illuminates. The images present surreal glimpses into the intrinsic light that exists in daily objects and illuminate the traces left by the objects’ existence on time. The existence of the objects seems peculiar as it is illumined by their glow, their familiar image and function disappear. Such disappearance of image and function seems to suggest a kind of destruction of our existing common association with the objects, while the artist attempts to reveal the autonomous existence of each object. Riding on the opening of Jiang Pengyi’s second solo exhibition in Hong Kong, Blindspot Gallery is proud to publish Jiang Pengyi’s first book on his works from 2006 to 2013 including his iconic series such as All Back to Dust, Unregistered City to his newest works Everything Illuminates and The Suspended Moment. 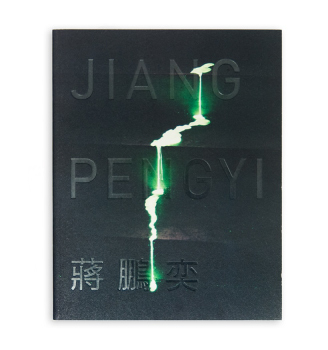 The book also includes 2 critical essays written by renowned photography critic and scholar Gu Zheng, as well as art critic and writer Luan Zhichao. The book is now available for sale.